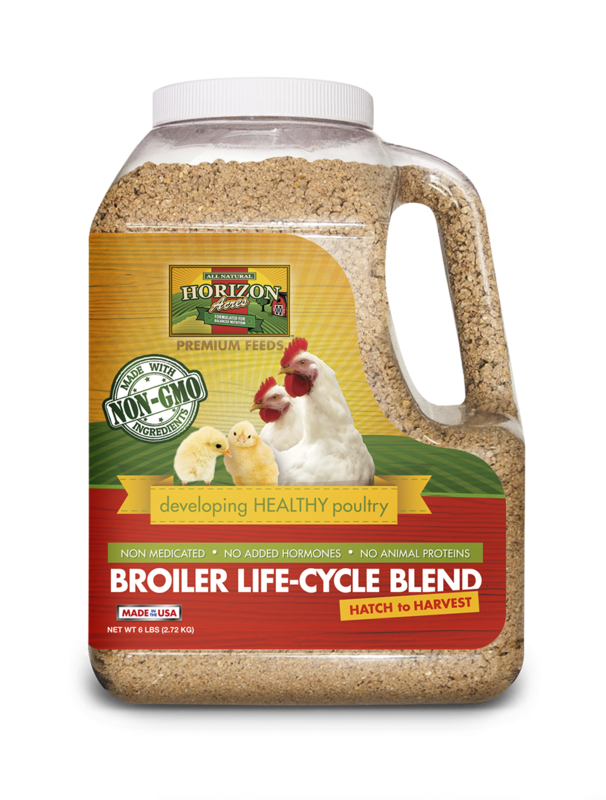 Broiler Life Cycle Blend is a Non-GMO, complete feed in crumble form, designed for meat birds from hatch to harvest. It can also be fed to laying birds from hatch to 6 weeks. It has 22% protein to provide outstanding growth. It contains no genetically modified ingredients, hormones or medication. In addition we have added Diamond V yeast culture, a natural probiotic, to aid in digestion. It is a natural, vitamin and mineral rich blend, perfect for raising wholesome poultry for your table. 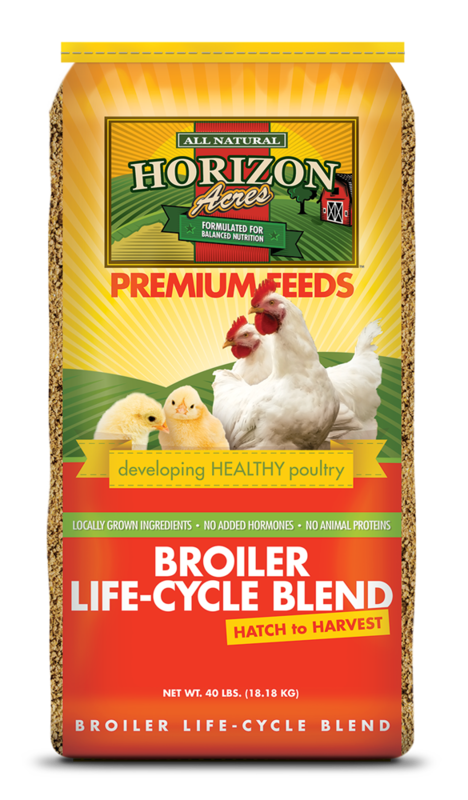 Broiler Life Cycle Blend is a complete feed in crumble form, designed for meat birds from hatch to harvest. Because it is a complete feed, there is no need to supplement. It can also be fed to pullets from hatch to 6 weeks. Feed chicks free choice. It contains 22% protein, more than most chick feeds on the market, to provide outstanding growth. It has Amprolium to help prevent coccidiosis. In addition Broiler Life Cycle Blend has natural probiotics to support immunity and aid in digestion. This vitamin and mineral rich blend is made from ingredients grown by Midwest farmers. It is perfect for raising wholesome poultry for your table and gives laying hens a great start. Available in a 50lb bag or a convenient 3lb jug.